There are four scenarios, "none of which is ideal," Cowen analyst Matthew Ramsay explained to Bloomberg. The first is to wait for a Intel modem, but the company might still end up with a chip without millimeter wave -- a technology that enables the fastest form of 5G, albeit with short ranges. The company could alternately order modems from Samsung, which has already announced a 5G phone, but that might be expensive given Samsung's strong negotiating position. No other chipmaker is said to be ready to offer off-the-shelf 5G parts -- except for Qualcomm. Qualcomm is the third option, Ramsay said, but he and other analysts have suggested it might already be too late to bring the firm back into the iPhone supply chain in time for 2020 devices. There have been no signs of a settlement in the two corporations' worldwide legal battle, and Apple's core lawsuit is slated to go to trial next month. The fourth and least likely option would be Apple buying out Intel's modem business and finishing work itself, described as "VERY difficult against a 2H20 timeline." The report skips a fifth option -- Apple making its own without external input. Apple has been restructuring its internal hardware teams, possibly towards creating its own 5G modem. Senior VP of hardware technologies Johny Srouji is allegedly overseeing that modem design, but it's unknown if the project is far enough along that it could be integrated into 2020 hardware. Apple has been designing other chips for about a decade, such as A-series processors and W-series wireless modules. Unless Apple is pretty far along in the development of their own modem, that won’t be an option, either. I'm pretty sure a trillion dollar company can solve a problem that everyone other phone maker has or is solving. This isn't rocket science. What are the advantages to having a phone, any phone, with 5G - currently or even in 2020? I understand that downloads would be significantly faster in theory. Even with that I don't know many people that are downloading things that require significant bandwidth on a regular basis. And, of course, having a faster download speed doesn't mean that whatever server I'm connected to can upload fast enough for me to notice. The section headed by "$7.50 PER DEVICE ROYALTY RATE" explains the details better. I am extremely confident that Apple has a plan for 5G. Does anyone really believe that a trillion dollar like Apple would jeopardize a product line that accounts for most of their profits to be caught without a critical component? Since the 5G rollout has just begun, does anybody really believe that it will be even close to completion by 2020 or 2021 since it took several years to get 4G to be widespread. I wish Apple & Qualcomm would sort out their issues. Qualcomm makes a superior modem, I’m not interested in spending $2k on a new iphone that isn’t 5G capable. I’m looking for the 2020 Iphone to be 5G capable and a screen that’s foldable. Get your act together Apple!! Qualcomm's licensing terms seem to be as abusive as Microsoft's old Windows licensing terms, yeah the one's that got them convicted for criminal antitrust violations. Aside from just plain vanilla abusive monopoly practices, it looks like they're also violating FRAND licensing requirements and patent exhaustion principles, I hope they get the book thrown at them. Does anyone know much about why these "modems" are apparently so expensive to design? Seems like something apple should have been doing in-house going back to the introduction of A-series processor. Also, they can't literally be modems, right? I presume this is like how folks call cable routers "cable modems" when they're really no such thing. You're correct, there might be no real-world benefit for most folks. Heck, how many people really need a 100+GB internet connection. What matters to the companies selling this stuff is that you THINK there's benefits, thus you buy it. Apple will want you to think there's benefits too so you buy a new iPhone, but until they offer it expect to see a plethora of comments explaining (IMHO accurately for the most part) why there aren't any. The implied narrative here is that without Qualcomm Apple is doomed. I don’t think that’s the case at all. I think it will take significantly longer than 2020 for 5G deployment in any meaningful way. Even the biggest 5G cheerleader, c|net, recommends not buying a 5G phone this year. Suddenly the herd has refocused on foldable phones as the second coming of the Messiah. What was the advantage of having all USB-C ports two years ago? You're burying the lede. What was the advantage of having all Thunderbolt 3 two years ago? They modulate/demodulate an electromagnetic continuous carrier wave to encode/decode information so they are mo-dems. It doesn’t matter if the electromagnetic wave travels on a phone line, tv cable, RF waveguide, optical fiber or free space. Everyone outside of Apple take some information from here and there, some guessing and make opinion to write like they know all. 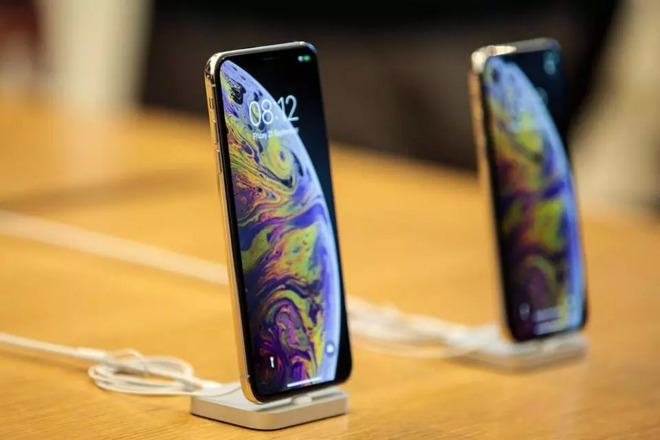 Apple knows how to tackle 5G modem issue and will release 5G iPhones when the time is right for enough 5G coverage is in place to make it worthwhile. Moreover, why build 5G phones that early with higher cost when people complaining $1000 price point whether it is Apple or Samsiung phones. Well, yes, of course. But it’s better journalistic theatre to create tension, conflict, possibility of failure, nail biting unknowns. Will Apple FAIL???????????? Remember it’s all about you and me viewing the page and possibly clicking on an ad. I’m not interested in spending $2k on a new iphone that isn’t 5G capable. As glitchy as 5 G will be for the near term? Pass.